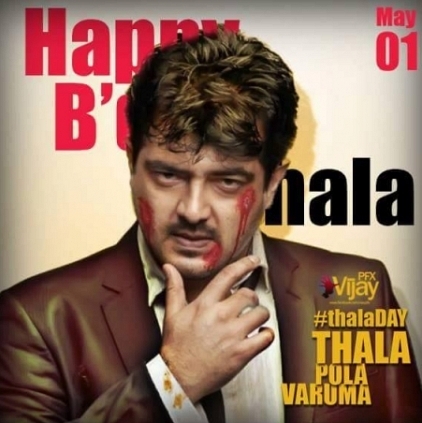 Ajithkumar also fondly called as Thala by millions of his followers, turns a year older today, the 1st of May. Known for his candidness and straightforwardness, Ajith is known to speak his mind whenever necessary. He has not had any godfather in this industry and has made it on his own with sheer willpower and tenacity. He is also an avid racer and is in to aero modeling too. Having debuted in Amaravathi in 1993, Ajith’s career is checkered with highs and lows, typical of a star. He is known for his performances in films like Aasai, Vaali, Kandukondein Kandukondein, and Mugavari to name some. His last film was Vedalam and the actor is said to team up with director Siva once again for his next project. Currently said to be resting his back after his surgery, Ajith is expected to begin work for his 57th film soon. Here is wishing the handsome Thala a very happy, healthy and a peaceful birthday!